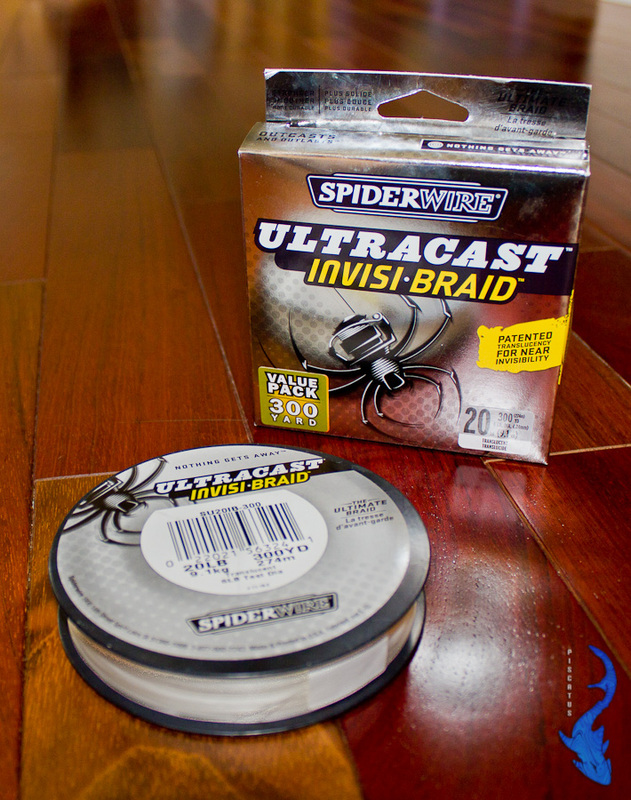 Spiderwire Invisi-Braid | Fishing Reviews | FISHING FURY - A Fishing Blog with Attitude! Editors note: This review was written by Chris Jones of Picatus.net and republished here with his permission. While it may be called Invisi-Braid, Spiderwire actually promotes this stuff as being translucent which is a long way from invisible. 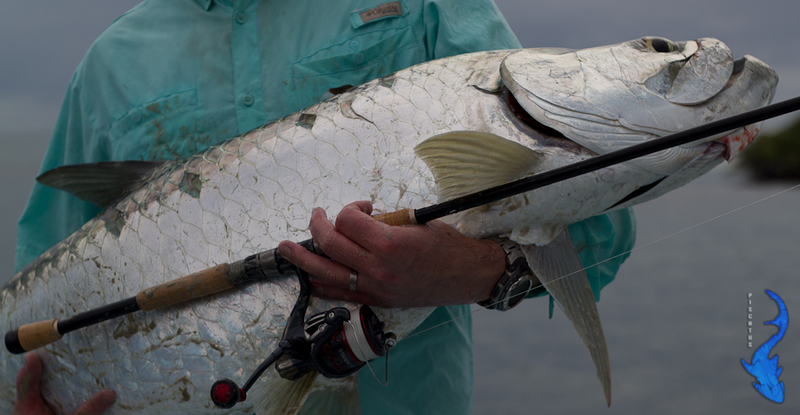 Most mono-filaments are translucent but yet we still rely on fluorocarbon for an extra edge in the visibility stakes. It is loose weaved which may help to push it to the invisible end of the translucent scale when wet but with loose weave comes some other issues. If anyone has managed to accidentally hook their own fishing line they will know what I’m talking about. Light test loose weave superlines also have a tendancy to float in the air following the cast and can be a nightmare when trying to fire in precise casts with a lot of obstructions around and a light breeze blowing. Loose weave also effects diameter and 20lb Invisi-Braid comes in at 0.24mm diameter compared to 0.19mm for for Tuf-Line XP. That 26% extra diamater really counts when you are loading small reels with heavier class lines and hoping for a few scorching runs. Interestingly, 20lb Fins PRT comes in at 0.254 mm so maybe I should cut Invisi-Braid some slack. To give Invisi-Line some credit, it does feel like the real deal and is not overly stiff nor limp, I have heard good reports on how it casts and expect the loose weave to assist with abrasion resistance. Enough speculation however, it was time to put this visibility challenged line through its paces. First observation, this stuff ties really well! It is a little more supple than Tuf-Line which is helpful when trying to manipulate it through tight wraps and turns typical to most superline knots although in high winds this may be a hindrance, especially with lighter classes. The combination of soft line (loose weave) and waxy finish also really helped to pull knots up nice and tight, not once did a knot lock up halfway which is something I occasionally run into with other superlines. Loading the spool did not go quite as well… Aware of the larger diameter I went lean on the mono backing but still hit spool capacity well before I expected for 20lb superline. Admittedly this was the first time I had loaded the Stradic Ci4 however I have played with very similar stated spool capacities for a long time and never got things so terribly wrong – even with the larger diameter Fins PRT. I would be interested in measuring this stuff up under a microspope to see if the stated 0.24mm diameter is really accurate – my gut feeling is it will come in slightly wider. Upset with my wastage, I pulled the Invisi-Line back off the Stradic, removed all but a light layer of mono for it to bite into and re-spooled. This helped somewhat but I was still left with significantly more line on the Spiderwire spool than I am use to for this size reel/line combination – even withstanding the fact that I deliberately overfilled the spool. For a superline Invisi-Braid ties like a dream but exercise caution the first time you load a spool, this stuff takes up more real estate than expected. I fully expected to throw loops and cut-off a significant amount of line on my first cast having overfilled the spool and using a jerky retrieve style that really increases the chances of winding on line not under tension. I was amazed 1000’s of casts later when I realised I had never once had to sacrifice any line or “pull and hope” on a casting knot. Perhaps it is the perfect mix of memory and suppleness or maybe the loose weave.. either way it is a big win for Invisi-Braid. Casting distance was unremarkable. The increased diameter and loose weave definitely limited my reach but not significantly, this was most noticeable into a stiff wind and I can also foresee lighter classes floating a little too much for my liking. Distance aside, Invisi-Braid casted very smoothly and I never encountered any issues with it. While distance was limited this is the first superline I have ever used that did not throw casting knots at me now and then while it was being broking in. If casting knots ruin your day Invisi-Braid might be for you. To be fair Spiderwire never said this stuff was invisible – just translucent. In gin clear water this stuff stood out as well as high-vis Tuf-Line from where I was standing. Visibility (or invisibility) is a complicated science and I do not doubt that Invisi-Braid has a lower refractive index when compared to other superlines – but does this translate to better performance? Fish also see the world through a different set of rules than we do and I’m not even going to speculate how they interpret this information. In some situations Invisi-Braid may just provide you with the edge but in other situations the same fish wouldn’t care if you were using a piano wire or 50lb monofilament. At the end of the the day we should all be using fluorocarbon at the business end and I will always standby the fact that lure selection (size, colour, profile, action) is going to have a far bigger impact than line visibility on whether or not you convert that follow into a hookup or a heartbreaking swirl behind your lure as your quarry hesitates and heads for the safety of deeper water. Above water visibility is great but underwater it doesn’t appear to break significant ground. That said I don’t see like a fish but at the end of the day visibility of my mainline is of little concern to me – your focus should be on perfect bait/lure presentation and using as small a fluorocarbon leader as you dare. The other trade off we must consider is line diameter versus visibility. There is going to be a point where a smaller diameter high-vis line is going to be less visible to a fish’s eye than near translucent but larger diameter line. I am also not convinced that Invisi-line is significantly less visible than other superlines to warrant its use based on that alone. After all, plenty of people use high vis yellow, green, pink and red or multicoloured superlines with good result. During my time in Belize this stuff endured many thousands of casts, and played with all manner of Lutjanids (Snapper) and Carangids (Trevally or Jacks) without issue. The real test came in the form of a few 60lb Tarpon and Invisi-Line performed as one would expect a superline to. The one standout feature was the notable lack of abrasion or “fuzz” following a long drawn out fight with a fish that far exceeded my leader length. After a week of hard fishing the line still looks like brand new with no burrs, loose strands, or signs of damage – not even loss of colouration. I am used to regularly trimming a rod length off my line each new day, even from just the wear and tear from casting – not once did I feel the need to cut off the last few feet of Invisi-Line, it always looked brand new. What can I say, it performs like a superline! I certainly can’t pick any holes in its performance under load but the real test will be its integrity after another 12 months. I arrived in Belize with a spare spool of Tuf-Line and fully expected to change lines on the Stradic Ci4 following the first days heavy use. In the end however I never even considered this option – this stuff aint that bad! The only caveat is that I was a little disappointed with the diameter – it felt like I was fishing with 30lb superline, not 20lb. This was not an issue really as I never knew what was going to turn up of the edge of the reef and I had another lighter outfit for the finesse flats fishing. If I only had one outfit I would have probably preferred the Tuf-Line – its diameter and stiffness makes me feel like I’m pushing the boundaries with a microline – it reeks of finesse compared to the diameter of the Invisi-Line. 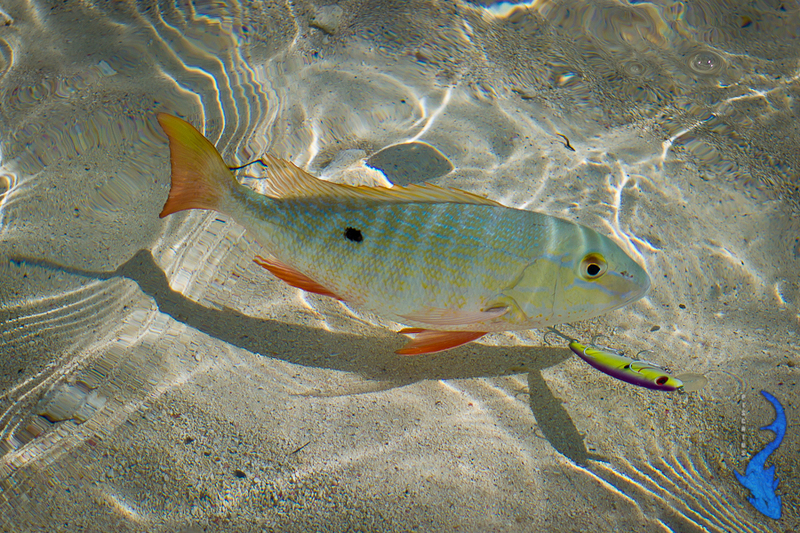 The other issue as predicted was with the loose weave, twice Owner trebles penetrated the line while the lure was hanging off a guide, once removed however there were no noticeable signs of damage. It did not handle attack of the needlefish so well (did I mention my dislike for needlefish) which resulted in the one required amputation after the weave was spread open. I definitely won’t be removing the line anytime soon and in the absence of Tuf-Line or Fins PRT I would definitely use it again. The price however is its biggest downfall. At $38 for 300yds of 20lb it is definetly priced as premium line, hard to stomach when comparative spools of Tuf-Line and Fins can be picked up for $25 and $22 respectivley. Nothing at all wrong with this superline and I will struggle to find reason to remove it before its time. Line diameter was not outstanding and I can’t really see a significant improvement in the visibility stakes. The reason this line will never become a cult classic is the excessive cost. There are many lines out there that perform as well for less than 3/4 of the price. The next test is longevity, how will the line stack up 12 months down the road after heavy use and sun exposure? I will have to get back to you on that one but in the mean time I look forward to hearing your thoughts and experience with Spiderwire Invisi-Line. Born and raised in Perth, Western Australia, Chris spent every waking minute looking for his next fish in the lower reaches of Perth’s swan river and exploring the bays and beaches of Rottnest Island with his brothers. Following school he moved to Far North Queensland to study Marine Biology and Aquaculture and sample the tropical fishing before moving on to the Whitsunday Islands to work as a RYA Yachtmaster instructor where he found an abundance of Giant Trevally to keep him busy. Returning home to complete a Masters of Science in Environmental Management; he reacquainted himself with the waters offshore of Perth before moving to Ningaloo to fish as hard as he possibly could for a year. A few international fishing trips later, a new job, and just a few more lost fish, and he has somehow found himself in Central California with his beautiful wife and daughter – still thinking about that next fishing mission. Great review Chris, looking forward to more! Thanks Clive – I look forward to sharing more!